The Caravan Writers’ Guild was formed in 1982 when a small group of journalists got together with the objective of creating a professional body that would be a power for good within the caravan industry. Since then the Guild has ﬂourished and has become home to many well-known names. Here you will find writers, broadcastsers, photographers, editors and publishers. The Guild acts as a communication link between the industry and the specialist media as well as organising industry events, press tours and training workshops. We strive to foster the very best in caravan journalism and to this end organise prestigious awards for both written and video work. Over our 36 year history we have worked hard to gain respect and recognition within the industry and it’s a postion we intend to keep. Our members come from all walks of life but have one thing in common – a passion for top quaity journalism. 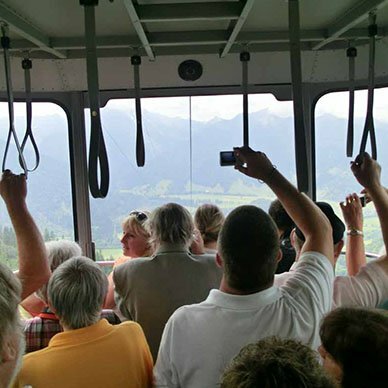 Here you see a bunch of us enjoying a press familiarisation tour of Germany in 2012. Sponsors are vital to the work of the Guild. They provide us with the support we need to plan and to carry out our many activities and include some of the biggest names in the industry. The Guild organises many events across the year. 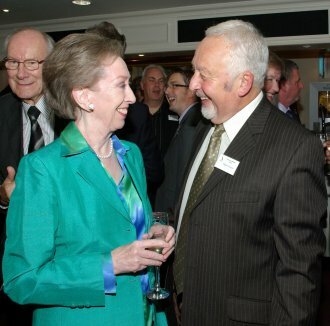 Here former Guild Chairman, Nigel Rosser, chats to the Rt Hon Margaret Beckett MP, a keen caravanner and guest of honour at one of our dinners.